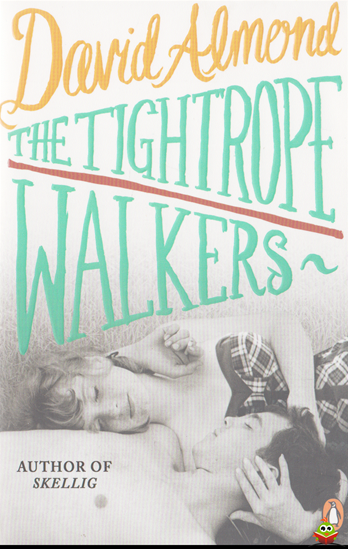 The Tightrope Walkers by David Almond - a novel of young love and tragedy from the prizewinning author of Skellig 'I was born in a hovel on the banks of the Tyne. . . ' Dominic Hall grows up in the sixties on a brand-new estate, along with the other families who escaped the river. But the Tyne is still an overwhelming presence, and most of the fathers work in the shipyards. Dom is torn between his new mates: Holly Stroud, his enchanting neighbour, and Vincent McAlinden, who's something else altogether - a wild, dangerous boy with murderous instincts. After his mother's death, Dom has to decide who he is, what he wants to be - and then face up to the consequences. Deeply moving with a unique narrative voice, The Tightrope Walkers will be loved by fans of Roddy Doyle, Irvine Welsh and Ross Raisin, as well as readers familiar with David Almond's masterful novel The True Tale of the Monster Billy Dean, and the hugely popular Skellig. 'Almond is a master storyteller' Independent 'Not only dramatically and emotionally suspenseful, it is also vividly drawn and wonderfully well-paced, as we might expect from a master storyteller' John Burnside on THE TRUE TALE OF THE MONSTER BILLY DEAN, Guardian David Almond is the author of Skellig and other novels and plays for adults and children. He has won many prestigious awards including the Hans Christian Andersen Award in 2010, the Carnegie Medal and two Whitbreads. His first novel for adults, The True Tale of the Monster Billy Dean was published in 2011. He was born in Newcastle, grew up on Tyneside and now lives with his family in Northumberland.